If you’re organizing a gathering on City property for over 50 people, you will need to obtain a permit. If you’re working with a NRC, you might be eligible to use some City recreation equipment. Check with your local NRC to find out what your group will need and what kind of winter play equipment is available. If you’re planning to have a larger group get-together in a river valley park, check with a F&E Liaison in the Civic Events Office to make sure your event won’t conflict with one already planned. For more tips on larger events, talk to your NRC or check out the Neighbourhood Block Party Kit. The City’s Neighbourhood Recreation Experiences team lends program equipment to community recreation providers and event organizers for use at free programs or events that are open to the public. This includes fire pits, bannock kits, fort-building supplies, snowshoes, winterscaping kits, kicksleds, and more. You’ll find a complete list of what’s available in the Equipment Magazine, under the Equipment tab. Looking for help with a school, group, or badge program? 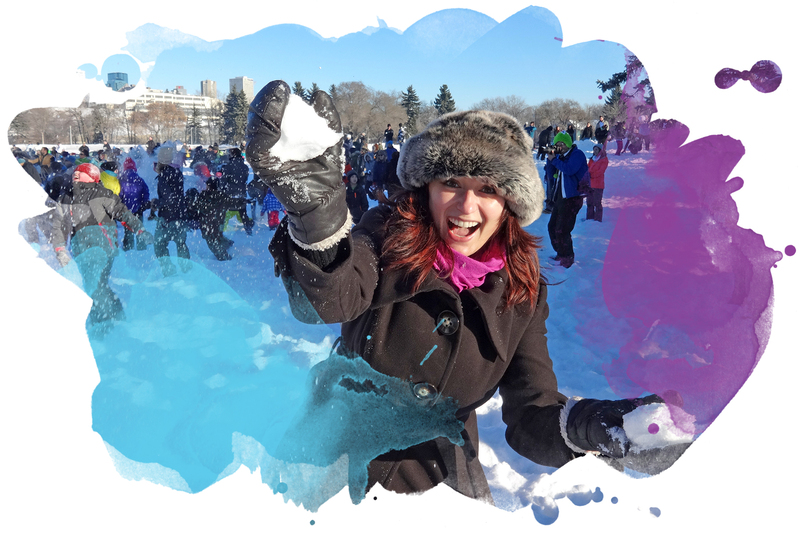 Interested in hiring a City team to lead your outdoor winter activities? River Valley Programs provide outdoor pursuit programs to community groups, Edmonton and area schools, corporations, and the general public. Planning a social gathering, winter wedding, meeting or corporate getaway? Why not include some snowy outdoor activities! Book your next event at a city facility that gives you the indoor space you need, but also provides opportunities for embracing the beauty of winter.